Figure 27. Drag Link Rear Lubrication Points. Figure 25. 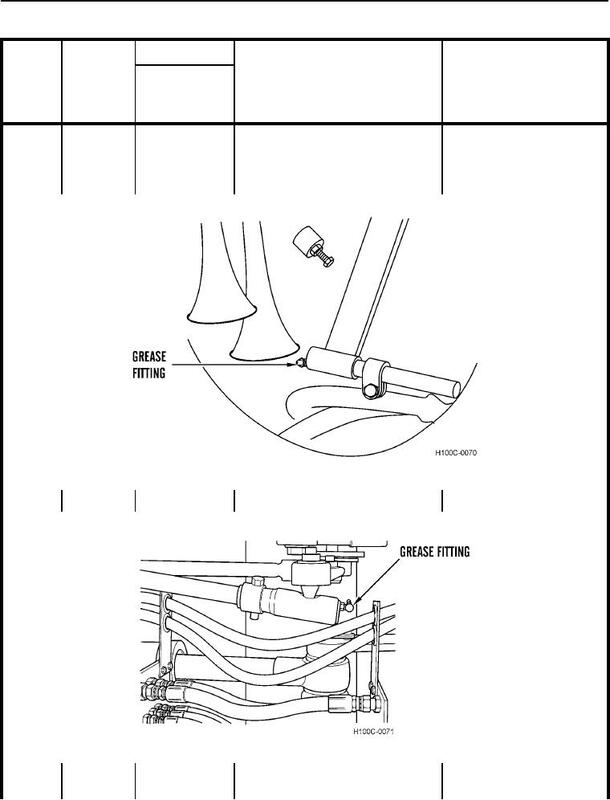 Steering Cylinder Rear Lubrication Points. Table 1. Preventive Maintenance Checks and Services (PMCS) for H100C - Continued. Figure 26. Drag Link Front Lubrication Points.